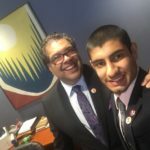 Almadina Alumni becomes Calgary Mayor for a Day! 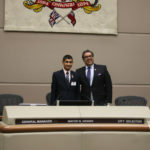 Home/Announcements/Almadina Alumni becomes Calgary Mayor for a Day! 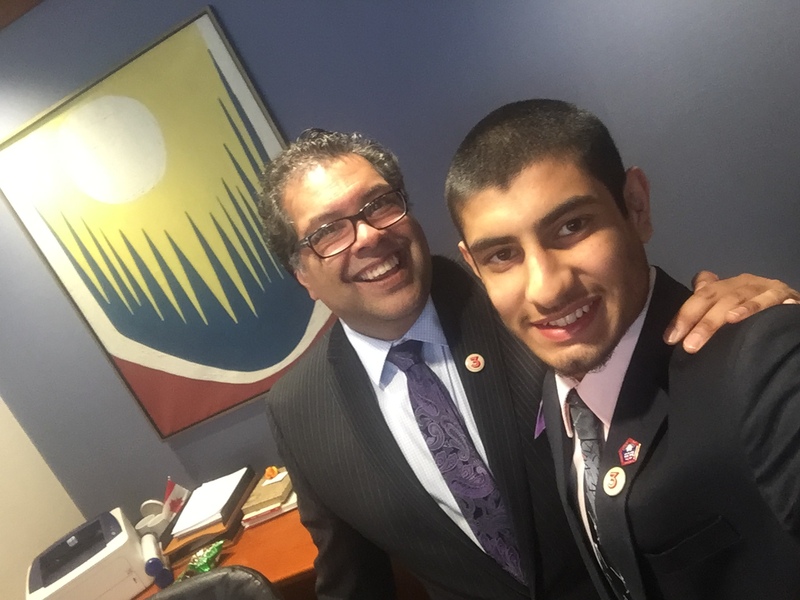 We are pleased to share that Almadina Alumni student, Haaziq Altaf, was selected to be mayor for a day after entering the annual essay/video contest hosted by the Mayor’s Youth Council. Almadina’s staff are SO proud of this young man’s accomplishments! 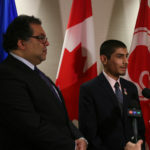 Haaziq submitted a video explaining three ways he could make the city of Calgary a better place. Upon winning, Haaziq had the exclusive opportunity of being the mayor for a day! 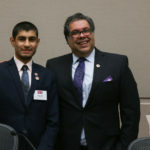 He met the mayor of Calgary, Naheed Nenshi, and met with the city council members responsible for the 3 sectors he chose to work on! 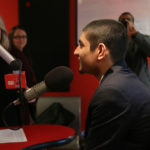 He also had a live interview on Virgin Radio, explaining his experiences and how the day went. 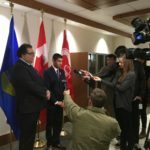 Another exciting part was the media scrum! 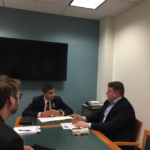 He even had the opportunity to personally talk to the mayor one-on-one and to voice his opinions on the issues he finds relevant. 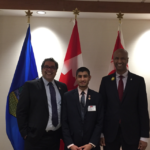 Finally, the minister of immigration, The Honourable Ahmed D. Hussen, was also in Calgary that day, so he had the privilege of meeting him as well! Here is Haaziq’s video that helped him win the contest as well as links to three of the newsgroups that covered his story! Thank you for sharing your success with us Haaziq! About the Author: . .